Once upon a time, I dreamed of going tan. I dreamed of the tan that my parents and my brother had when the sun’s golden rays hit their skin. I longed for the glow of summer. Needless to say I was gravely disappointed when my skin would go from lily white to lobster red to a light gold and then back to lily white. If it was a particularly bad burn, I would peel a lot too. Up until I moved to Melbourne five and a half years ago, I was still after the summer glow, but without the damage to my skin. 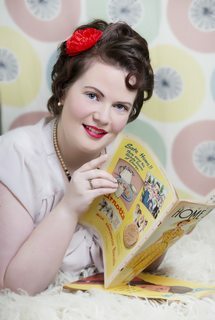 After a number of years I can finally live happily ever after with my peaches and cream complexion. Here are the products I use to keep my skin in tip top shape over summer. The Australian sun is harsh. I can get through summer without looking like a lobster but I can’t do it without the Cancer Council’s Ultra SPF 50+ Sunscreen. The Mister and I use the roll on and we make sure we have multiple bottles. We keep one in the car, and the other is in The Mister’s work bag. In fact, I need to get a third bottle so I can have one in my handbag at all times. It’s only October and already we’ve been having some serious sun. Heat dehydrates you, there’s no doubt about it. My favourite way to stay hydrated is with good old fashioned water. During summer, I like to keep tap water chilled in the fridge, the rest of the year I drink it straight out of the tap. The sun heats up the pipes so much when in the warmer months of the year that it’s impossible to drink from the tap, even at night! Not only does water keep you hydrated, it cleanses the toxins in your system, it helps to get rid of the dark circles under your eyes (hydration-related, believe it or not), and it helps to keep your skin looking youthful. If you have to take water wherever you go, avoid buying it, and take a (BPA free) drink bottle. If you’re not a water fan, try adding fresh citrus wedges for flavour, or fruit frozen in (boiled water) ice cubes! Last summer, I found the perfect wide brim straw hat at an op shop for a steal. It protects my eyes, my ears, my head, my neck, and my face. I can tie a scarf around it should I chose to, or adorn it with flowers. A neutral tone wide brim hat is ideal for any vintage loving woman as you can accessorise with suitable colours to match or compliment your outfit. Lip Smackers. We go smackers for Lip Smackers! I’ve been searching for the perfect lip balm for a long time now. I don’t wear lip stick or lip gloss every day because I don’t like the fact they dry out my lips. In my search for ethical cosmetics, I included lip care in my search. Lip Smacker are ranked B on Shop Ethical, the second highest ranking a company can receive, and they are also the highest (along with parent company Bonne Bell) ranked in their category. This has been in the memory bank for a little while now, and when I found myself continually licking my lips because my lips were constantly chapped, cracked, and peeling with Blistex (who are unrated on Shop Ethical, see link above), I knew that I needed to see if I could find the old Lip Smackers. I don’t care if I’m in my 30s and using scented lip balms, the fact of the matter is that my lips haven’t felt this good since I don’t know when. Even Burt’s Bees (who is owned by Clorox, rated C) doesn’t compare ethically to the Bonne Bell group. 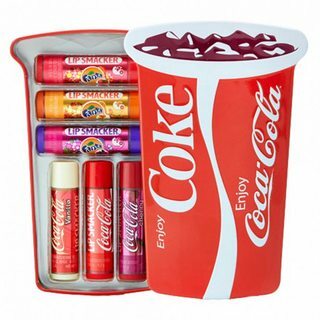 Right now, I’m rocking my Cherry Coca-Cola Lip Smacker. The Mister – who has always been a smoocher – loves a smooch even more now that my lips are deliciously flavoured. Do I care that I’m in my 30s and still love these lip balms that I was so fond of as a kid in the 90s? Heck no! Soft lips + tastes good = winner. A friend of mine is a (compounding) pharmacist and like me, she too has sensitive skin. She once recommended Sukin to me but I never got around to purchasing any of their products until last month. I started off with this little beauty. It never leaves my bag. It instantly refreshes me and all the while it’s keeping my skin hydrated. I must admit, the reason I didn’t buy any Sukin products when my friend recommended them to me was because I had always perceived natural products to be too expensive for my student budget (champagne tastes, beer budget). 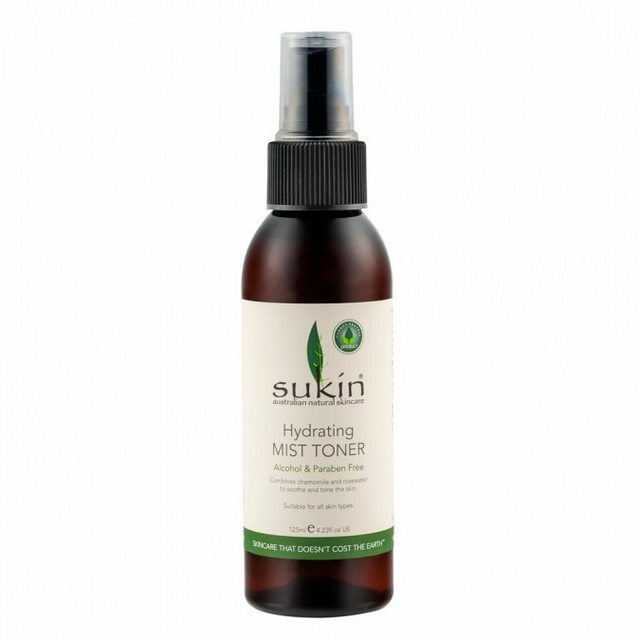 I was pleasantly surprised to find this hydrating mist toner RRPs for $9.99. If you click the link (not affiliated) you can purchase this (and the entire Sukin range) at Priceline and save yourself 20% off the RRP. The other thing I love about this mist is that I don’t need to use moisturiser every day. I find most moisturisers to be quite heavy on my skin, causing pore blockages. The mist alleviates the need for moisturiser every day, and all it takes is a few spritzes to feel refreshed. As the temperatures soar this spring and summer, please remember to treat your skin with the love and care it deserves. Don’t think you’re daggy for taking care, it is your body and your life that you are protecting.